Home / Blog / 10 Famous Cars And Would You Insure Them? The amount of money spent on paying the car insurance premium, is by far one of the most contemplative and gruesome facts of buying a new car. For this reason, owning a car which does not burn a hole in the pocket with its insurance costs is the most important aspect for numerous buyers in the UK. The amount of famous car insurance one pays of course rests on numerous factors such as the size and model of the vehicle, the capacity of its engine and how safely it is going to be maintained by the owner. However, it is not always that cars with smaller engines accrue lesser premiums. The easiest way one can assess the approximate premium of a vehicle is by looking at its group rating which ranges from 1 o 50, with 50 being the highest. Therefore, any vehicle rated from 1 to 3 offers a competitive famous car insurance premium. The UK motor industry is witnessing a boom of late wherein the numbers of new cars sold have been on the rise for the past three years. Also, there is an upward trend of buying petrol cars with only about 250 more diesel cars have been sold as compared to petrol cars in February 2016. In the list below, we have listed 10 famous cars of the UK which have an excellent combination of luxury, design, durability and driving experience, coupled with an insurance premium which is just right for the comfort they offer. The Ford Fiesta has been sold the maximum number of times in the UK and continues to dominate the list of the 10 famous cars. The current version was first launched in 2008 and this model experienced an upgrade in 2013. 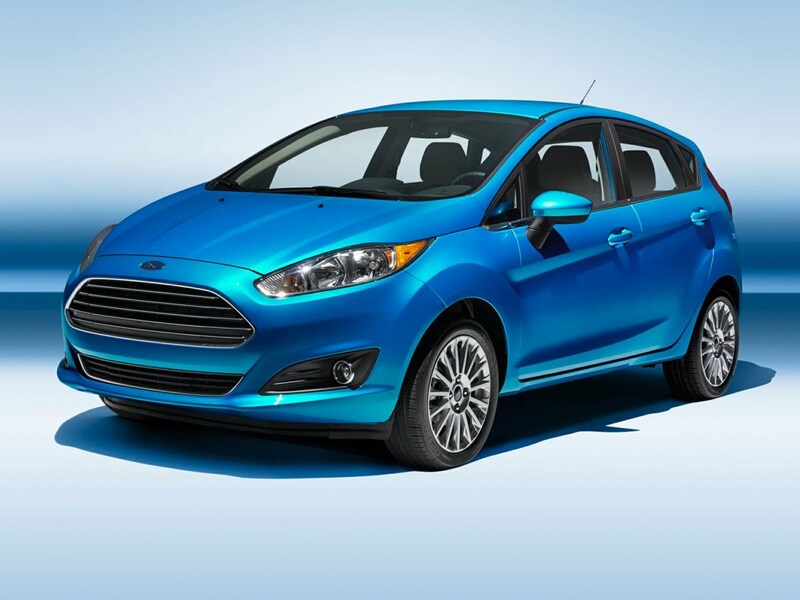 What sets the Ford Fiesta apart from its contemporaries is the driving experience it offers which is compared to the enjoyment derived from driving a sports car. The vehicle is stylish and comfortable inside out and has a five star crash test rating and falls under the Group three category for insurance premium, making it one of the pursued vehicles of the UK market. The easiness to drive the Vauxhall Corsa and it’s value for money quotient makes it a favourite vehicle for the residents of the UK. The fuel economy is worth a mention, especially the 1.3 litre turbo changed diesel engine version. The latest model of the Vauxhall Corsa has been introduced with superior interiors altogether. The Volkswagen Golf features in the list of the pricy cars which are available in Britain’s car market. The posh design of the car, the fuel efficiency and its easiness of parking coupled with it’s safe and comfortable drive has made the Volkswagen Golf range of cars a stalwart in their own rights. Models such as Golf R and Golf GTI render a sports car like driving experience. All the models under the Golf Range are equipped with digital radio, Bluetooth, and a touch screen enabled dashboard. The Audi A3 Sportback has grabbed a considerable portion of the UK car sales market although many drivers would vouch for the Volkswagen Golf over it. The considerably big sized boot and spacious back seats are two of the greatest features this version has to offer. The Honda Civic is one of the most reliable and good looking family cars. It’s manufacturer Honda has been declared the best in class in terms of car manufacture by numerous automobile magazines. It’s boot is extensively spacious as compared to the other cars within the same price category. The Qashqai has a fun look and feel and has earned brownie points for the competitive pricing as compared to its large size. Some of the automobile experts have declared the Qashqai as the best preowned car to buy, courtesy it’s driving comfort and sturdy built. Priced at GBP 16595 onwards, this vehicle is ranked at number seven in the list of the most purchased vehicles in the UK. Owned by the German BMW, the Mini is a stylish vehicle which has recently been faring well in the British vehicle market. The smooth engine and it’s comfortable and fun driving experience has captured the attention of the motorists in the UK in the recent past. The Mini has also fared well in the department of pre-owned cars. According to statistics, the car holds 64% of it’s worth even after 3 years, featuring only next to Fiat 500. The Mini is priced at GBP 11870 upwards. The Hyundai i20 is spacious, offers considerably lower maintenance cost and comes with a less expensive insurance premium. The vehicle is quite large as compared to the other superminis in this pricing range Additionally the manufacturers are providing the new customers with a five year long warranty irrespective of mileage covered. This car is available in three door as well as five door models and makes parking a hassle free experience. This vehicle can be considered the most practical car to buy in the UK, courtesy it’s extra large boot which can be further enhanced, courtesy it’s van like design. Running the car is fairly less expensive as the car insurance premium will not cost a fortune as it falls under group two. One of the biggest downsides of the Peugeot Bipper Tepee Mini MPV, however, is the driving experience which is quite slow and noisy. Like the Ford Fiesta, the Kia Picanto falls under the group three insurance category. This hatchback is a stylish vehicle and available in an array of funky colours. Although many would rate the Ford Fiesta above the Picanto in terms of the driving experience, the seven year long unlimited mileage warranty offered by the manufacturers is an appealing deal. In the UK, it is imperative to insure every vehicle, whether it is running or lying in the garage unused. By reviewing numerous websites, customers can compare the features and benefits of the famous car insurance providers before zeroing on an insurance provider.